Fort Lauderdale, FL | June 15, 2017: The Northwest community of Fort Lauderdale will launch a new name, brand, and website on Saturday, June 17, 2017. 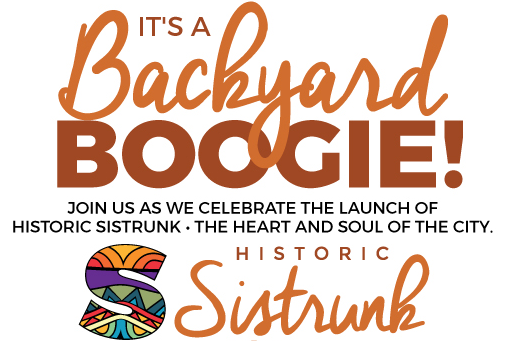 The community is invited to attend the Backyard Boogie, a gathering to celebrate Historic Sistrunk, the Heart & Soul of the City. It’s going to be a potluck style cookout and block party in the City of Fort Lauderdale Community Redevelopment Agency’s (NPFCRA) parking lot located at 914 Sistrunk Blvd, Fort Lauderdale, FL. There will be music, activities for kids, lots of laughs and great memories. In addition, the event will be infused with ice breakers and trivia style games to highlight the community’s historical figures and trailblazers. Guests can host a table for their family and friends and bring their favorite dish to the Backyard Boogie. In addition, Historic Sistrunk inspired foods and beverages will be served including a Guava-Mango drink (non-alcoholic), fried fish, and “Led Bread” for dessert. Guests will also get a first look at the new Historic Sistrunk website (historicsistrunk.com) and hear about upcoming redevelopment efforts for the Historic Sistrunk neighborhood. The Backyard Boogie is free to attend and open to the public. For more information and to reserve a table or RSVP, call (754) 800-4730, email historicsistrunk@gmail.com or visit fortlauderdalecra.com. To learn more about the initiatives of the NPFCRA, visit: fortlauderdalecra.com or call (954) 828‐6130. For media inquiries, contact Ann Marie Sorrell at The Mosaic Group – 561.651.9565.